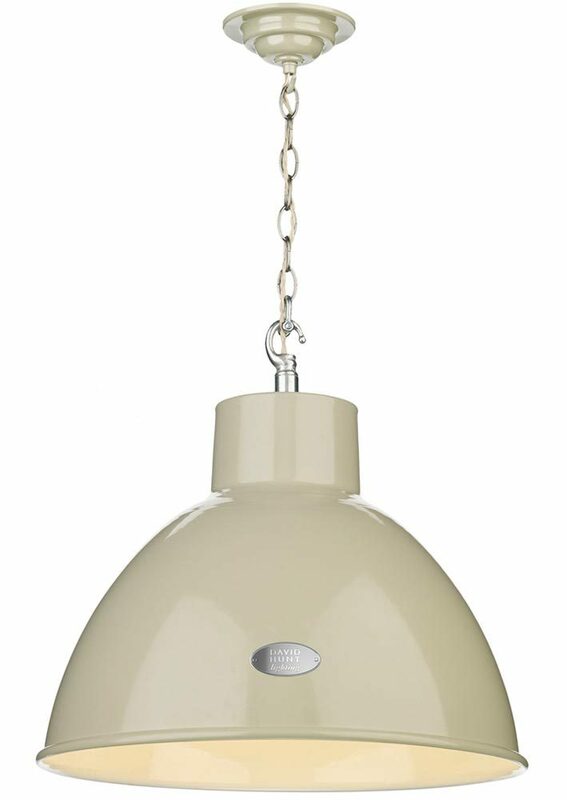 This David Hunt Lighting Utility large pendant ceiling light in French cream offers vintage industrial style factory lighting. Circular ceiling mount, cream braided flex suspension and domed 44cm metal shade embossed with the iconic David Hunt logo. The shade has a gloss white inner for a bright downward spread of light and there is an optional chrome metal cage available. This industrial ceiling light is designed and handmade in Britain by David Hunt Lighting who are well known for the design and manufacture of original hand crafted products such as the Utility large pendant ceiling light in French cream you see here.